The Congress party has proclaimed its commitment. Now it is up to the BJP: Will it assure independence to the CIC and strengthen the RTI? I have been asking political parties to declare their commitment to strengthen the Right to Information Act before seeking a vote to rule. So far, the Congress has responded. In its manifesto, the Congress has promised “to strengthen RTI Act” and said it will appoint “qualified persons from the different sections of the society as ICs, in accordance with letter and spirit of the Act”. Being the party that brought in this revolutionary good-governance legislation, it was legitimately expected from the Congress to commit to its existence, which is under threat now. The promise on ‘Governance, Transparency and Accountability’ at point 3 says Congress would “review the RTI Act, omit provisions that may have diluted the Act, add provisions to strengthen it”. The UPA government appointed a greater number of non-bureaucratic members in the Central Information Commission and some of retired officers selected have laid solid foundations for the implementation of the RTI Act. For instance, the first chief information commissioner, Wazahat Habibullah, created a sort of history when he fought with the Department of Personnel and Training, the nodal agency for implementing the RTI law, on the issue of file notings. Habibullah won the battle, ultimately compelling the DoPT to remove guidelines or handbook or office memorandum from its website that prohibited the disclosure of file notings. Several commissioners infused life into the RTI, with their orders properly achieving the objectives of the Act. But the major hurdle in the Act’s implementation was the strong belief and attitude of some commissioners that non-disclosure was essential for proper governance. They believe that non-bureaucratic commissioners give disclosure orders because they do not know ‘administration’. As a teacher-turned-information commissioner, having no experience in government administration, I can without fear of consequence say that some of the chiefs and commissioners have caused serious damage to the transparency law by creating dangerous ‘precedents’ to deny information about civil servants and public authorities. I am surprised that some tried to save the skin of their colleagues, without having any connection with them. The mental frame of some was so strong that even if their honest colleague was seeking information, they denied it without caring for the provisions of RTI Act. Officers facing false cases had to fight tooth and nail to get copies of investigative reports which absolved them. When any commissioner directed that such a report be shared, the government files writ petitions in the high court, making the CIC the first respondent. For years, the disclosure is stayed. The government must give or pay advocates to defend the CIC and RTI, while the same government fights against it with its battery of lawyers including attorney generals or solicitor generals. There are more than 1,000 cases wherein the CIC is compelled to defend its disclosure orders. Some of the chief information commissioners very effectively resisted the pressures from top bosses and allowed ICs to act on their own. But it is difficult to resist such continuous pressures for a long time. After all, they were subordinates to them earlier and were given a privileged position after retirement. The government tries to control the CIC from the appointment stage, by selecting their own loyal servants as commissioners in 99% of the vacancies. Still, the rulers are relentlessly trying to dilute the CIC further by changing rules, proposing amendments and creating babu-ruled panels. The reality is that while ministers talk sweet about transparency, their officers’ scheme to dilute it. In 2017-18, the DoPT made a brazen attempt to control the CIC with draft RTI rules for internal functioning of the CIC. The CIC was asked to offer its views, but not before the draft was prepared. One of the draconian rules gives enormous powers to the chief to remove or add subjects of individual commissioners. My dynamic colleague Yashovardhan Azad joined me in openly opposing it, while others silently criticised the rules. It was resisted so strongly by the people and the media that those rules were revised and then shelved. 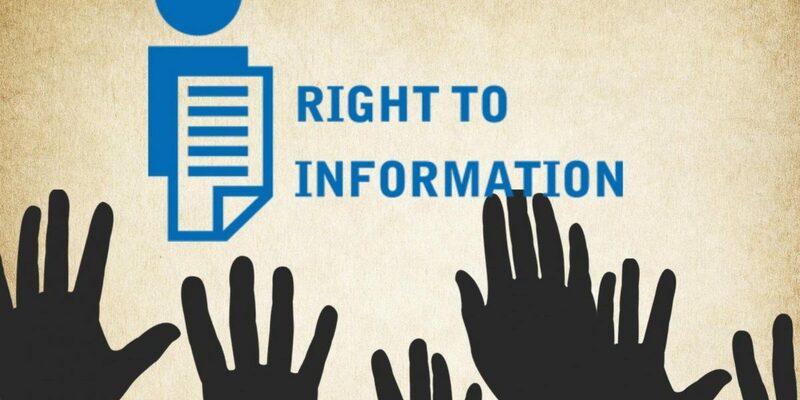 The second attempt is the draconian RTI (Amendment) Bill 2018, which says the terms, status and salary of information commissioners will be as prescribed by the Central government. The original Act gave commissioners a fixed tenure of five years or up to age of 65 years, whichever is earlier, and placed them equal to election commissioners, who in turn are on par with Supreme Court judges. “As prescribed” means the term and status will be uncertain and they can change at every notification to fill vacancies. They tried to tell commissioners who were strongly resisting that sitting information commissioners would not be affected; the rules were only for future commissioners. The worst attempt revealed last week was to create two panels of top bureaucrats, one to receive complaints against the chief information commissioner and the second against information commissioners. The cabinet secretary, secretary DoPT and former chief information commissioner will receive and act on complaints against the working chief information commissioner, while a second panel of secretary (coordination) at the cabinet secretariat, secretary DoPT and former information commissioner will act on complaints against information commissioners. The chief information commissioner and information commissioners now are above the rank of cabinet secretary. The Act gives them the power to direct the cabinet secretary or secretary DOPT to disclose information. The CIC could consider these officers as deemed public information officers if they obstructed disclosure and penalise them or recommend disciplinary action. How, then, can the cabinet secretary and secretary DoPT be empowered to hear complaints against the chief information commissioner? Perhaps the government is preparing to amend with more clauses than 2018 Bill to reduce CIC into a glorified clerk without any glory. If these panels come into existence, not just the independence, but existence of the CIC itself will be meaningless. So far, the post of chief of the CIC is given only to a former bureaucrat, and a convention has been created that the chief alone will hear second appeals against the PMO, Rashtrapati Bhawan and key ministries like finance. The chief will decide the subjects of the other commissioners. These are all practical obstructions to the independence of information commissioners developed to avoid the RTI. Hence, they want bureaucratisation of the CIC. As the Supreme Court rightly pointed out, this will be a disaster for transparency. Even after the bureaucratisation of the CIC, why do babus fear the RTI? Do they have so many skeletons in their cupboards? Information commissions at the Centre and in states must be independent. Spineless babus should not be allowed to make the CIC spineless. The contesting political parties should ensure its independence. The Congress party proclaimed its commitment. The question now is to the BJP: Will you assure independence to the CIC and strengthen the RTI? 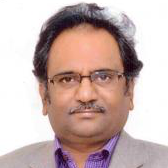 M. Sridhar Acharyulu is a former Central Information Commissioner and professor of Constitutional Law at Bennett University.